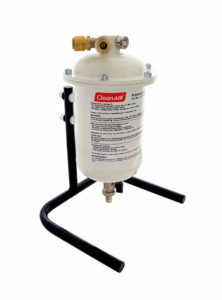 The CleanAIR® Pressure Flow Master system can regulate the amount of air coming from the central compressed air distribution system or a compressor and keeps it at a constant level regardless of any changes of inlet pressure. Automotive industry – welding, grinding, surface finishing operations, heavy industrial environments, chemical industry, laboratories. CleanAIR® Pressure is the basic version of an airline system which can regulate the amount of the supplied air and keeps it on a constant level regardless of any changes to inlet pressure (the inlet pressure has to be between 0,4 – 1 Mpa). Welding, grinding, surface finishing operations. Dusty industrial environments, automotive, mechanical engineering and shipbuilding industry, constructions and food procesing industry. In combination with the Shigematsu GX02 full face mask and P R SL filter with two threads CleanAIR® Pressure For Mask represents the highest level of protection for working in particularly toxic environments for a long period. Dusty industrial environments, constructions and food procesing industry, closed tanks, tunnels. The CleanAIR® Conditioner provides additional filtration of compressed air anywhere, where the quality of the supplied air does not meet the requirements of regulation EN 12021. The high capacity combined filter inside the conditioner removes solid particles, oil mist and unpleasant odours that can be present in the compressed air distribution system. 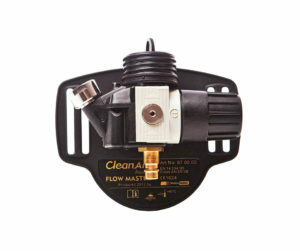 The conditioner can supply sufficient amount of filtered air for two workers at the same time. Welding, grinding, surface finishing operations. Dusty industrial environments, automotive and shipbuilding industry, constructions and food procesing industry. can regulate the amount of air coming from a central compressed air distribution system or a compressor and keeps it at a constant level regardless of any changes of inlet pressure. 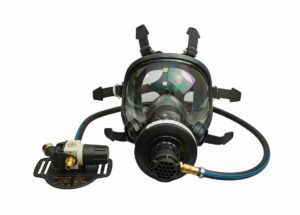 Compatible only with leather welding hood CleanAIR® ARES II.